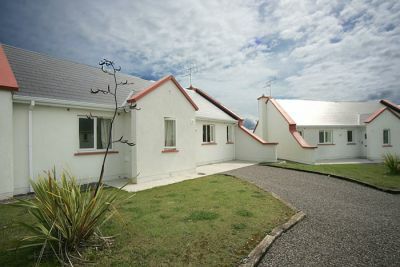 Sand Dune Cottages are located in Kerry’s leading family holiday destination which is next to the breathtaking Banna Strand a few miles from Tralee Town. As well as quality accommodation Banna offers a host of activities for all age groups making it an ideal family holiday location. Banna Beach Resort is unique in that it has facilities for both adults and children and all in a secure stand alone resort, which is safe and family friendly. Summer & Easter Camp – why not give yourself a well earned break from the kids! During the summer months and Easter break the Kids Club runs in association with the Leisure Club. The camp runs from Monday to Friday from 10am to 3pm and is suitable for children aged from 4 to 12 years old. Activities include swimming, mini games (soccer, basketball), art & crafts, dancing, treasure hunts and much much more! The Kids Club is a fantastic place for your children to meet new friends and most importantly to have fun! Registration for the Kids Club is essential and can be arranged with the reception team in the Leisure Club. Children will be kept busy with activities at the children’s club, Pirate Pete’s play centre, entertainment in the family bar, outdoor playground, swimming pool, astro turf pitches, the basketball court and of course Banna beach, which is a safe blue flag beach. Adults can enjoy the facilities with the children or relax themselves in the steam room and sauna, exercise in fully equipped gym, enjoy a treatment in the salon or sip on a glass of wine in the adult only bar. Babysitting services are available. There is an abundance of entertainment throughout the Summer for adults and children alike including sports,magicians, swimming, karaoke, disco dancing, face painting and of course music and dancing for the adults. Banna Strand Holiday and Leisure Complex offers something for all the family!FREE ACCESS TO SWIMMING POOL & LEISURE CENTRE FOR GUEST’S WHEN BOOKED THROUGH OUR WEBSITE (Open 7 days closed Christmas Eve & Christmas Day). Onsite Facilities 20m Swimming Pool (open all year), Separate Toddlers’ Pool, Sauna (open all year), Steamroom (open all year), Jacuzzi (open all year), Gymnasium (open all year) Childrens Adventure World(Open June – August) Outdoor Playground, Basketball Court, Astro Turf Pitch, O’Shea’s Irish Pub (Open June-August & Weekends rest of Year), Fast Food Restaurant (Open June – August) Murphy’s Day Supermarket and Off Licence (Open June – August).